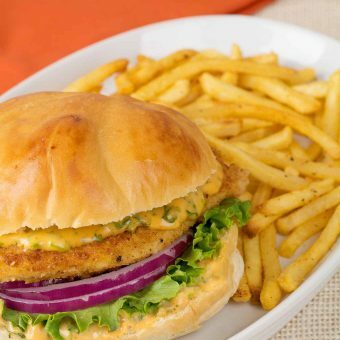 Juicy, pan-fried chicken and a spicy spread made with mayonnaise, sriracha, honey and fresh cilantro combine to transform a simple chicken sandwich into an easy weeknight favorite. 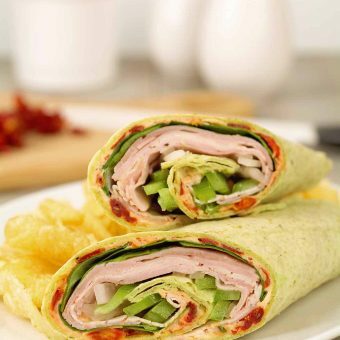 These satisfying sandwich wraps are filled with deli turkey, ham, provolone, fresh spinach, green pepper, onion and a tasty sun-dried tomato and cream cheese spread. 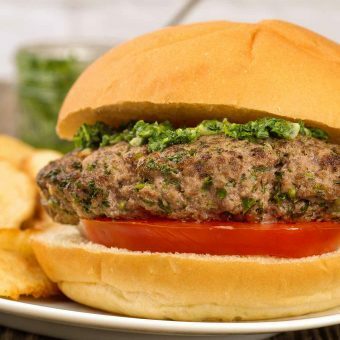 These juicy, grilled beef burgers are flavored both inside and out with chimichurri, an Argentinian sauce made with fresh parsley, garlic and olive oil. 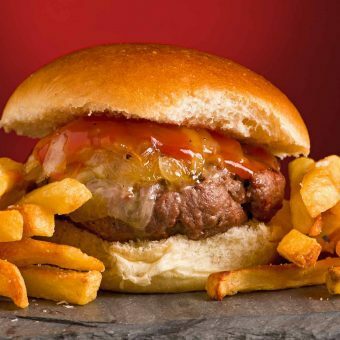 Add some extra flavor to the classic cheeseburger with Vermont sharp cheddar and an easy homemade ketchup made with maple syrup. 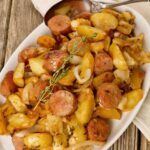 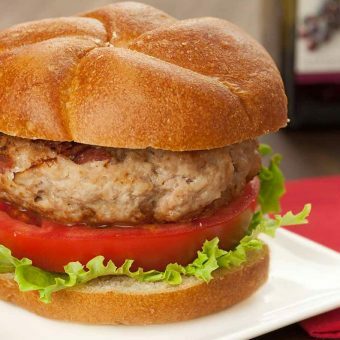 These hearty and delicious turkey burgers are kept moist and flavorful by mixing finely chopped salami, Asiago cheese and balsamic vinegar into the meat prior to cooking. 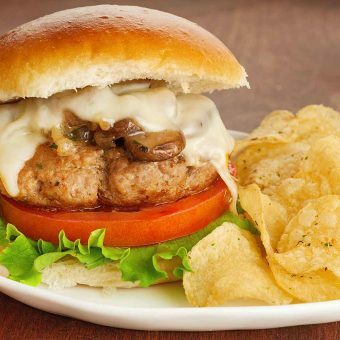 Cooked using a combination of pan searing and braising, these tender, juicy turkey burgers are topped with sautéed mushrooms and onions and melted muenster cheese. 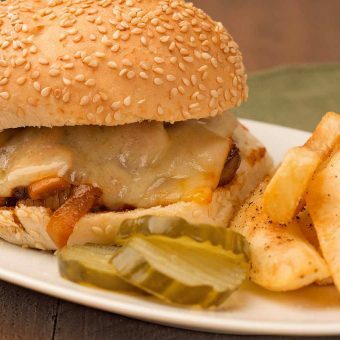 An upscale steak sandwich made with thinly sliced New York strip, sauteed onions and mushrooms, Muenster cheese and a flavorful bourbon-molasses sauce. 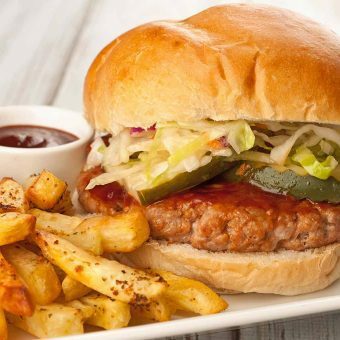 Made with lean ground pork and topped with homemade barbecue sauce, pickles and coleslaw, these tender, juicy burgers are reminiscent of a classic pulled pork sandwich.